1 Fuji volcano – one of the major national symbols of Japan, the embodiment of masculinity yang. According to legend, the divine consort of Izanagi and Izanami, created the Japanese islands, primarily having created Fuji. 2 Border of snow cover of Fuji indicates that it occurs in early spring when starts the season of catching tuna. 3 Fishing boats osikuri-bun. The team of these fast little ships usually consisted of four people, but on the engraving there are eight of them in every boat. Because tuna was considered a delicacy in Japan, and was available for few fishermen, who tried to deliver the first catch to the capital. Rich people were willing to pay a lot of money as quickly as possible, that’s why the number of fishermen doubled. 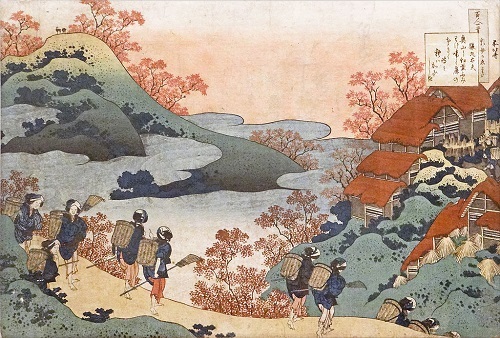 These fishermen sold their goods and returned from Edo (Tokyo), as can be seen in the direction of the movement and position of the boat to Fuji. 4 Shroud of Fuji shows the early morning. This is the time when the light begins to gradually take precedence over the dark. 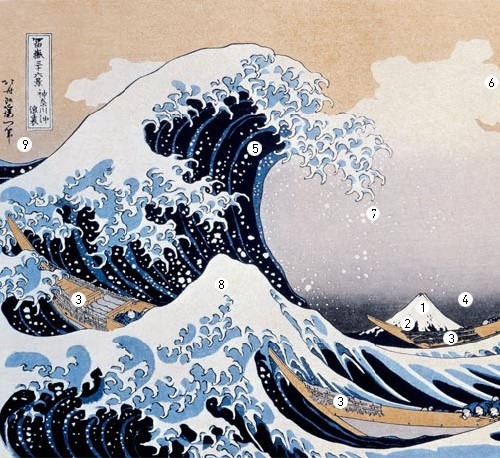 5 Waves and all water elements – a symbol of the feminine yin dark. 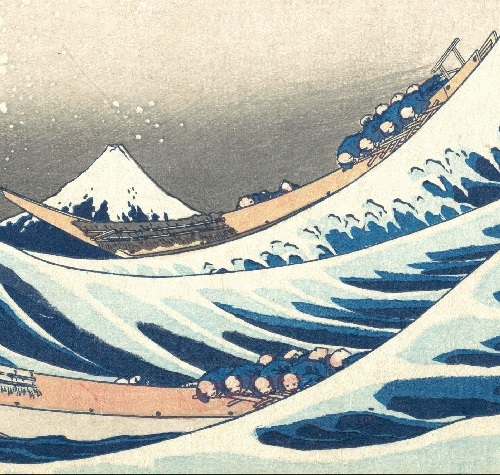 Hokusai, apparently to emphasize the extreme dominance of this principle, rarely portrayed image of a giant, a height of 12-15 m, single pyramidal wave that occurs when several waves of lesser magnitude overlap. 6 Cloud-wave. 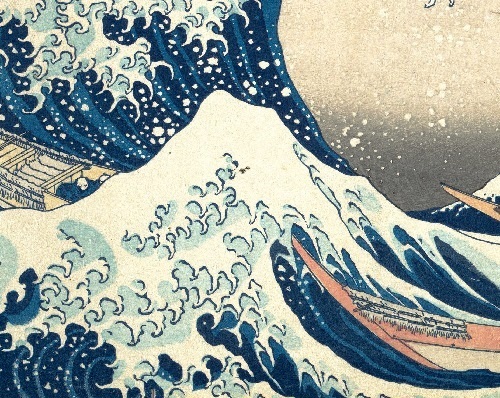 Hokusai extensively used the principle of “unity of harmonies” – the similarity of “all in all.” This Taoist formula has been very popular with Japanese artists as artistic tradition came to the Land of the Rising Sun from China. In this case, the cloud creeping across the sky, looks like divaricate hand and likened to a big wave, spreadout its “paw” over the fishermen. 7 Splashes were associated with the snow and sakura flowers – a traditional Japanese symbol of transience, fragility. In this case, the transience of life, the fragility of human life. 8 The second wave. 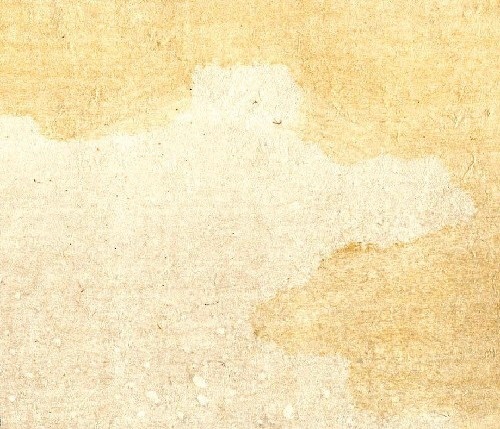 It is smaller than the first and the shape is very similar to Fuji. Placing it in the engraving, the artist further emphasized the complete triumph of the dark beginning. Deuce – the number of yin (the number of yang – one). Here there are just two – two mountains plus two waves. 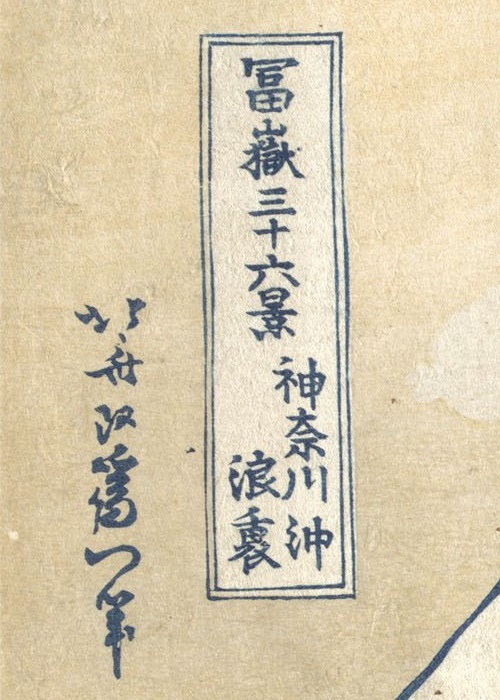 9 Author’s signature ‘Former Hokusai, now Iitsu’. 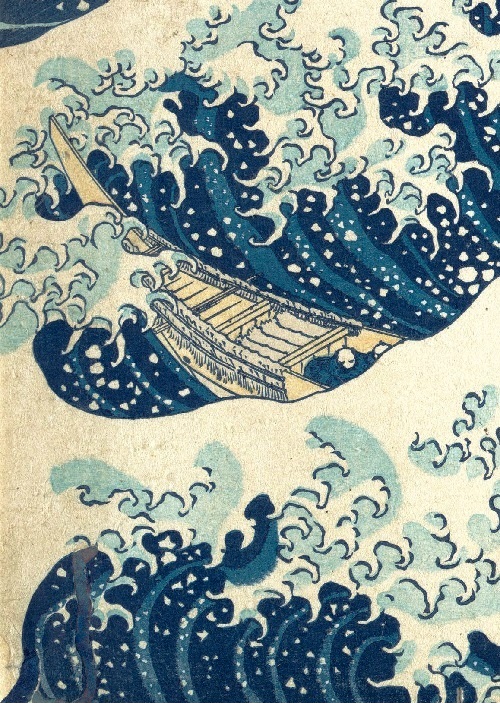 10 years before the creation of the prints, Hokusai, ready to retire, gave his name to the best student (that was the custom), and took another – Iitsu. When he returned to work, he had to regain his illustrious name. 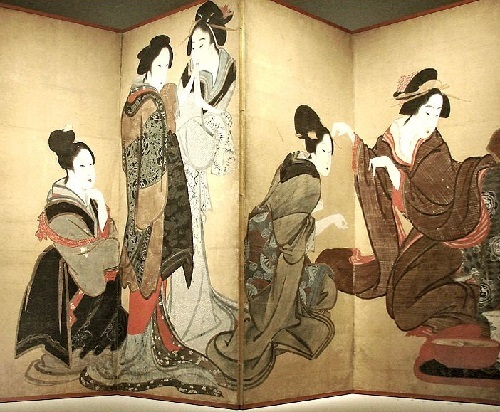 Creativity of Japanese artists are so steeped in the traditional philosophy that many of their works can be seen as treatises. 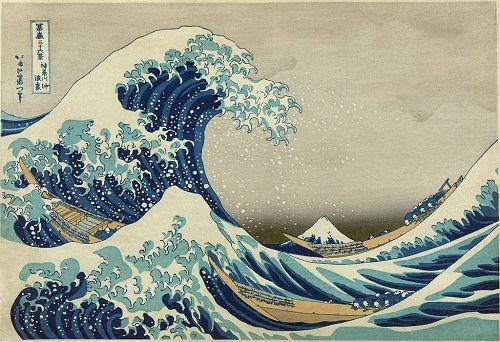 Katsushika Hokusai (1760-1849) – one of the greatest Japanese artists – left to posterity thousands of amazing by depth of content and excellence by performance prints. In his youth he studied at Katsukava Syunse, master of ukiyo-e genre – “pictures of the floating world”. 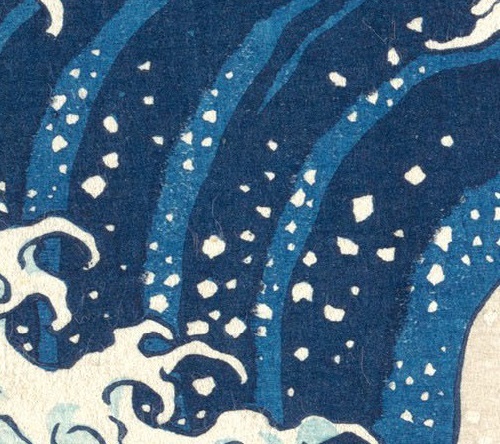 Hokusai remained true to the genre, enriching it with interest to the landscape. Katsushika life was not easy: the money that he was able to get for engraving, was enough only for rice noodles. But, working hard, the artist still had amassed a small amount, and in his later years retired. However, his grandson managed to dissipate all the savings of his grandfather, and 70 year-old Hokusai had to again take up the brush. It did not save him from poverty, until his death the artist lived at the temple. 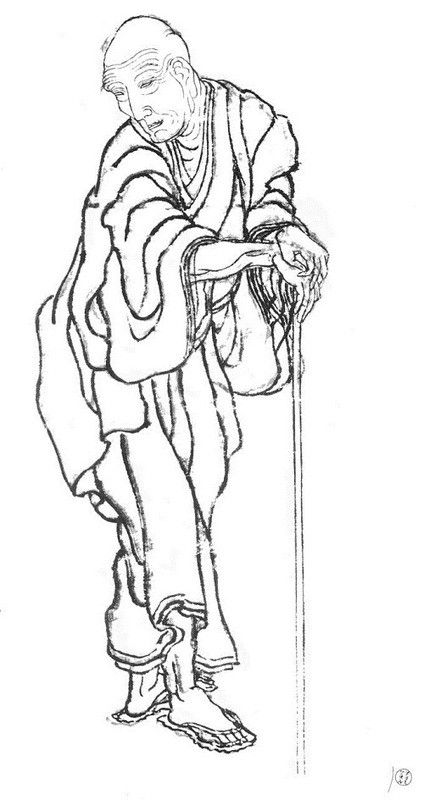 Engravings by Katsushika in the last period, considered the peak of his creativity. 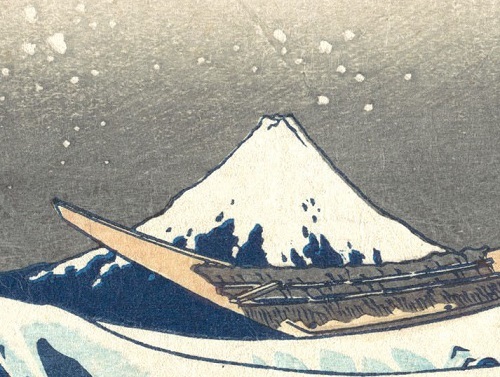 On the album “36 Views of Mount Fuji,” the artist worked in 1820-1830. 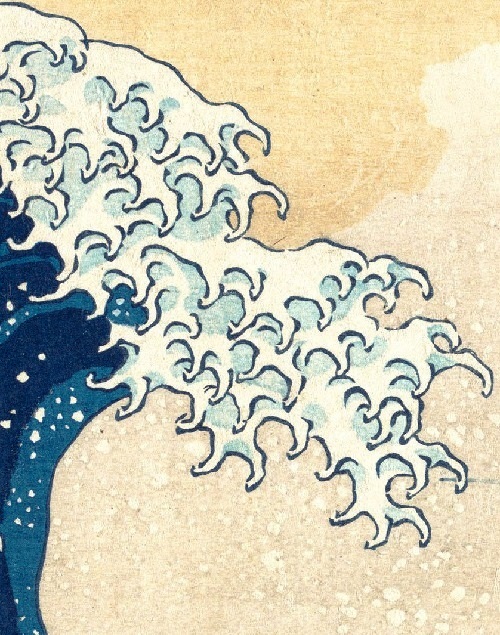 One of the most famous in these prints is called “In the sea waves at Kanagawa” (Kanagawa – prefecture in central Japan on the coast of Tokyo Bay).